Interview by Anna Matnadze for Chessdom.com. More interviews from Magistral de Barcelona and other events in the interview section. Hello Mr. Seirawan, welcome to Barcelona. Could you please, describe to us your preparation process for the Magistral Casino Tournament? 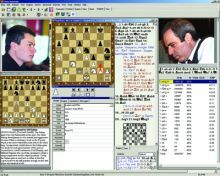 What chess analyzing program do you use? Thank you very much. It is a pleasure to have been in sunny Barcelona as I live in Amsterdam where it was windy and chilly when I left. I use three programs Rybka, Fritz 12 and Houdini. 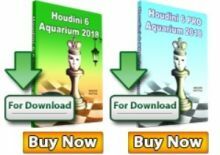 I like Houdini best. The majority of the players in Barcelona were unknown for me. My preparations were mostly to review their most recent games (last two/three years) and to get a feel for their style of play. What types of positions they excell in and to see if they have favorite openings that I like to play as well. Whom were you expecting to be the most difficult opponent? Are you happy with your play here? Which was the best and the worst game and why? Again as I wasn’t familiar with the players. Before the start I thought that Smirin was the clear favorite. Overall, I’m satisfied with my play. It was consistent. My game with Smirin was my worst for sure as I made a howler (a bad blunder) when I missed his Nf4-d5 stroke, which wins on the spot. My best game was versus Peralta. We played a main line Pirc and I played a very powerful strategic idea Nc3-b5, which my computer doesn’t find but gives me a long-term advantage of the two Bishops. I kept a grip on the position and played very well throughout. Really, Fernando was never given a chance to get into the game. You told me on the first day you had been to Barcelona before. Tell me more about that, please. Did you plan any sightseeing now? Has Barcelona changed much? I played in Barcelona for the first time in 1989 during one of the GMA World Cup events. It was extremely well organized and I had wonderful memories of Barcelona. That event was much longer with several free days. Unfortunately, I wasn’t able to do any sight seeing during the Magistral event as there were no free days. I did however enjoy my walks along the beach boulevard to and from the hotel to the casino. If possible, Barcelona has become more beautiful than I remembered. Back to your extensive bio… you were born in Damascus. Do you still keep roots, family connection, there? What are your childhood memories? Yes, I have an ‘extensive’ family of Seirawan’s living in Damascus. This comes from my father’s side of the family. Unfortunately, when I was nine years old my mother and father divorced and I lived with my mother, so much of my knowledge of my Syrian side has been ‘lost.’ Through my father I’m kept informed of what is happening there. The family left Syria when I was four years old. I have only two memories of Syria which I wrote in detail in my book, “Chess Duels.” Those memories were of pain and pleasure. An interesting twinning. Your career has been tremendously successful in all aspects. Apart from winning a lot of prestigious tournaments and having been the ninth highest rated player in the world, you succeeded in chess writing, publishing, organizing, founding, as a commentator. And I´m already lost. Do you ever sleep? And, what is your primary occupation? I’ve always enjoyed being busy and like working on projects. These days I mostly do reading and writing and fewer projects. I do some financial investing advising others but I’d say my primary occupation today is as a writer. How good are you at S-Chess? (Tell us more about that). S-Chess or (Seirawan Chess) is a joint effort between Bruce Harper, a friend and strong chess master from Vancouver, BC, Canada and I. It happened by accident, I was visiting Bruce and while we were in his kitchen preparing something to eat I was lamenting about the state of chess. Specifically, the awesome advances taking place in opening theory. Nowadays it is rather common to see elite players playing a theoretical line that is twenty moves deep and even longer. In a recent game, Jakovenko made a novelty – h2-h3 – around the 34th move as White against Gelfand. My goodness! What is that? I complained to Bruce that the “creativity” possible in a game between two elite players was being inexorably reduced, because of theoretical advances. I also complained to him that as Black, against a well prepared opponent, it was becoming increasingly hard to ‘create play’ where the second player had a chance for victory. Bruce and I started to think how to place Capa’s pieces on an 8 x 8 board? From the starting chess position should we ‘push’ the a2-pawn to a3 and tuck one of the new pieces on the a2-square? And do the same for the h-pawn? Well one look and you see what an artificial construction that becomes. So we began to think that the starting position for chess is just fine – perfect in fact. Capa’s pieces would have to remain “off” the board at the start of the game and be “introduced” into play as pieces come off the back rank and are “developed.” As we understand from chess, it is very natural that all the pieces start from the back rank, protected by a pawn in front and then come into play. In no time, we realized that was a perfect introduction for the new pieces. A player would have eight opportunities to bring the two new pieces into play. There would be no ‘symmetry’ of play as one player need not copy the opponent. Each game would be unique. We immediately became enthusiastic about our new find. The next thing we did was to rename Capa’s pieces. I mean think about it. What exactly are a Marshall and a Chancellor? When I try to create an image in my mind of these two titles, I think about men. Specifically, in the case of a “Marshall” a military general and as for a Chancellor, a politician wearing a huge necklace of office. Reducing these images into a chess piece, is simply confusing. So we had to rename the pieces and create easily identifiable images. Once you start along these lines, and recalling the history of chess, you immediately start to think of an elephant. Chess ought to have an elephant! Since, Bruce and I thought that the piece with the powers of Rook and Knight would be stronger than Bishop and Knight, we called it an Elephant. The second piece a Bishop and Knight becomes more tricky. What is it? What should it become? What image should we create? Thanks to the power of the Bishop, in one sense, it can ‘fly’ across the board. This conjured up the image of a ‘raptor’ or an eagle if you like. The image of a bird, is of course, universal and some birds are fantastic predators. I liked the image of an ‘eagle’ but eagles are mostly scavengers, preying on the dead or dying. So we settled for a Hawk. Then we began to play the new game and discovered that it was really great. Seriously, we enjoyed ourselves immensely. Virtually no draws as well. Theoretically, the new game could feature nine Hawks or nine Elephants as pawns could promote to any piece – accept the King. The great thing about the new game is that nothing in chess has to change. Same board, same armies, just the addition at the start of four new pieces, two for each side. Bruce and I commissioned the making of ‘kits’ for the new game and away we went. Today, we have been a bit blocked as we need to make the new game available for play on the Internet. Once we manage that I’m confident the game will explode in popularity. Lastly, what to name the new game? Clearly, it is a derivative of “Capablanca Chess” but both Bruce and I felt uncomfortable about using or dare I say abusing his cherished name. I liked “Sharp Chess”. The first word being a mixture of our last names “Seirawan” and “Harper.” We wanted to copyright the name but discovered the “Sharp Stores” chain of retail outlets had already claimed “Sharp Chess.” As Bruce and I expanded our name search we discovered that all kinds of names for chess games had been made. For example, “Animal Chess” was taken by Disney, and so on. We were stuck. Even worse, we discovered that practically nothing ‘appropriate’ for our efforts existed at all. In order to avoid becoming a target of a lawsuit we called our joint effort “Seirawan Chess” which we’ve reduced to calling “S-Chess” for now. We want to have a future ‘name the game’ contest when it becomes more popular. Too, I’m uncomfortable with “Seirawan Chess” for the simple reason it overlooks the contribution of Bruce altogether. I’m very good at S-Chess. I’ve played with many Grandmasters and do extremely well. I’m married to a Dutch lady, Yvette Nagel, who is a FIDE FM. We live in Amsterdam where Yvette works for the city and Mayor’s office. We don’t have children but we have brothers and sisters who do. Our parents are all alive and in good health so we travel often visiting our relations wherever they may be. Being a chess pro is tough. We are constantly traveling. What is your secret to deal with jet lag? Sadly, I have no secret for jet-lag. Throughout my career it has had a negative impact on my play at the start of events. Terribly so I might add. And your secret as to how to recover from a bitter loss? One can never overcome a ‘bitter loss.’ The way to deal with a loss is before the tournament. I think most professional players simply have to accept that when they play in a tournament, to win it, they will have to take risks. So if before a tournament a player mentally girds themselves and say, “Okay, I’m going to lose a game, two or three, but I’m going to play hard for a victory,” then ‘accepting’ a loss is easier. Although the bitterness is long-lasting. Secondly, losing is part and parcel of the game. Get used to it. It will happen! Instead, we have to learn to take our losses in stride and learn from them. What did we do wrong? Why did we make the mistake we did? And so on. Losses will help us learn if we make the correct deductions. The number of Chess fans all over the world is growing every day, however, it is not yet meant as popular a sport as, for example, football or tennis… What do you think would be necessary to do to make chess more popular? What would be your strategy or ideas to attract more Sponsors? My approach is far different than the questions imply. In terms of ‘athletic sports’ one doesn’t have to be a golfer to understand the game. Through simple observation we see there is a ball and a club. The golfer uses his club to smash the tiny ball into a hole that is two hundred meters away. Most athletic sports are simple to understand, soccer, the world’s most popular sport is simplest of all to understand. Chess on the other hand is too complex for the public. Someone may observe for hours and hours and still not understand the basic rules. So we should not only ‘accept’ but ‘embrace’ this limitation. Chess is a complex game appealing to a small but significant segment of our populations. Where chess fails is on several levels. My experience tells me that in the case of the United States Chess Federation, for example, we need one hundred players who play and understand the game, to produce one USCF member. The reality is that we ‘lose’ ninety-nine players because somehow – on the organization level – we are not doing enough to ‘appeal’ to the ninety-nine players we lose. In short, our ‘retention’ levels for those who learn the game is simply abysmal failure. We need to better understand how we can make ‘organized chess’ more appealing. Recently, in August, I visited my sister in Phoenix Arizona. While there I hooked up with my friend Scott Frenaux who organizes a scholastics chess network. Scott and his staff reach out to hundreds of schools and teach chess to about 25,000 children a year. By the second year, half have dropped out. By the third year, another forty percent. Those that stay in the program eventually become champions and USCF members but the ‘attrition’ and turn-over rates are staggering if not at times depressing for the coaches. Still, for all that effort, many lives are positively impacted. The truth is that there really are untold millions of people world wide who have – at times – found chess to be enormously interesting. We need to make greater efforts at ‘re-capturing’ those who have ‘left’ our sport and bring them ‘back into the fold.’ If we are successful at that, chess would be, instantly, the most popular board-game in the world. As regards sponsors, I think this is a ‘top down’ approach. Here what I have in mind is the ‘crown jewel’ of chess, the World Chess Championship title. Universally acknowledged to be one of the most important ‘intellectual titles’ in the world. This title has been the providence of FIDE for sometime. Here FIDE has made a hash of its own title. When the rules are without sense, the sponsors flee. So even to begin to think about ‘how do we attract sponsors to chess’ we must first realize that our most important events, world and national championships must have sensible rules, sensible regulations and attract the best players. Failure in this most obvious ‘top down’ approach means no or limited sponsorships for lesser events. What do you think about the “short draws phenomenon”? What would be the mechanism to avoid them? Funnily enough, I don’t share the concern that ‘short draws’ are a problem. Really, I see it as overblown hysteria. The obvious solution is what was used in the Magistral event: No draw offers before move forty. Simple. End of discussion. The greater concern is actually getting games with ‘content.’ Again, I refer back to my complaints regarding the advancement of opening theory. Let us say to the players, okay, play till move forty at least! Both players show us their homework coming out of a long theoretical dispute of say thirty moves, a late middlegame, endgame evolves where the ‘machines’ have judged a ‘small pull for white.’ The players continue playing ‘correctly’ and by the end of another ten, twenty moves the game is clearly drawn. Well, that was nice. Right? Correct play by both players led to a draw. But was the game either ‘fun’ for the players or ‘enjoyable’ for the spectators? Were the players ‘just going through the motions’ for the last ten or twenty moves to meet the expectations of the rules? This is what I worry about, that the opening theory has become so deep, that the levels of sophistication for the defender is reaching so high, it becomes harder and harder for the elite to gain victory. What is your opinion about cheating? It is becoming a very serious problem. Cheating has always been a concern. Long before computers ever became strong. That is players receiving advice/information during a game. In truth, at the most elite level charges of ‘cheating’ are simply ridiculous and don’t exist. On the amateur levels however cheating, again even before the computer could have been a problem. A coach telling his student what move to make. Now with electronic devices, such charges, are far more worrisome. Here I think there is a ‘disconnect.’ Again, at the elite level cheating is not a problem but there is a public perception that there could be a problem and then it gets blown well out of proportion. A “possible” problem “becomes” a problem that doesn’t exist. It was terribly unhelpful for the image of chess when Topalov accused Kramnik of cheating during ‘toilet-gate.’ Without any proof or any evidence whatsoever. Just a charge of, “my opponent is a cheater!” When Kramnik won in Rapid play, without leaving the board, Topalov explained that Kramnik’s method of cheating had simply been improved! My goodness, how silly was that? Topalov damaged his own image and brought chess into disrepute. What sponsor wants such an association? Cheating is an ‘image’ problem for chess. If the world ‘perceives’ that computers are better than humans and that humans ‘could get help at the board’ it would mean that there would be less and less interest in chess. Even if no cheating at all is taking place. In my view, chess authorities should take a ‘pro-active’ stance, to convince the public that there is simply no possibility of cheating at all. Some simple suggestions include no electronic devices of any type by the player (a security wand before the start of play); as well as a time delay for the relaying of the moves. These should more that suffice. 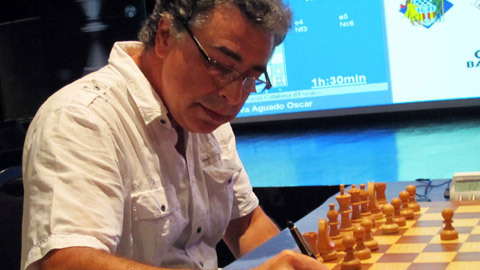 What does Yasser Seirawan think about World Championship cycle and matches? I don’t like the FIDE cycle at all. I think it is foolish, without sense, which is negative for sponsors, the public and for the players. Let us start with the obvious, chess does not have a “Premiere League,” a “Grand Prix” or a “World Cup.” We are without a ‘season’ which exists in most sports. What we do have is a “World Chess Championship.” In my view, this should be an annual event. Full stop! Once you think about this and reach the same conclusion questions start popping into mind, such as “how would an annual cycle work?” As well as other questions. So let us step back and think of how would we create an ‘annual cycle’ with the ‘tools’ that we have in hand today? First we come to the obvious question, “What would the ‘final’ competition look like?” Should we have a ‘traditional’ one-on-one match? Or should the ‘final’ competition feature a tournament with a double round robin or quadruple round robin final? If you stop and choose one or the other, there will be complaints from one set of fans who prefer one type (strongly) over the other. Once that awareness seeps in, the answer is obvious, you have both. Today, we have a ‘strange’ cycle to say the least. Let us be generous, and say that today’s cycle is a “fixed” two year cycle where we have “continental championships” bringing “qualifiers” who compete in a 128 player Knockout event, the World Cup. 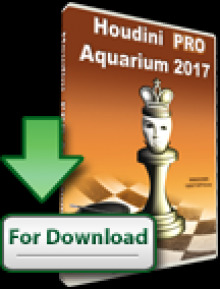 The top three players qualify for a Candidates Tournament, alongside three highest rated players (other than the existing World Champion), the runner-up to the previous Championship match and a nominee “wild-card” from the Candidate’s Tournament organizer. From the Candidate’s tournament a “Challenger” emerges and then a match is played. All of these events are staged in a two year cycle (or so). It is what it is and these are the tools we have today. I think the cycle is stupid. Why? First of all, let us think about the role of the World Champion. Let us presume that the World Champion is the strongest, most interesting chess player in the world. That the fans, the public, the media all love him/her and thrill to their every contest! How exciting! Well guess what, in this entire ‘two year’ cycle the World Champion does nothing! He/she does not play. Not in the National Championship, the Continentals, not in the Knockout, not in the Candidates. The World Champion waits. When a Challenger is ‘born’ at long last, the World Champion comes out of the cacoon to play a 12-game match. Doesn’t that strike you as a silly system? It certainly does me! Imagine, if Barcelona won the Premiere League in Spain and was declared so good, they wouldn’t have to play in the League anymore. No, the team would wait for a Challenger and Barcelona would play a ‘match’ against the Challenger. That’s all. The public would be confused. It is with a similar ‘confusion’ as this example that I, a professional player, look at the world of chess. We have a stupid system for determining the World Champion. If it makes no sense to me, then how can I ‘sell the system’ to a sponsor? For chess it gets even worse! Let us look at the World Chess Championship and the elite world of chess today. We all know and love Viswanathan Anand. We couldn’t ask for a better chess ambassador. Vishy is a prince and a deserved World Champion! No questions. But is he ‘head and shoulders’ above his colleagues and nearest rivals? I don’t think that even Vishy would make such a claim. Rather the contrary, that he does feel that he is an ‘elite’ player with a few, ‘very close rivals.’ Yet Vishy is separated out of this ‘elite’ group and put on a pedestal and removed from playing. The world’s number one player, Magnus Carlsen, considers the system ‘unfair’ and withdrew from the cycle. This is terrible for chess, for the public for sponsors. This is important to understand: Magnus is right! Vishy is but one player in an ‘elite circle’ of company that includes, Carlsen, Anand, Aronian, Kramnik, Topalov, it is simply wrong that by winning this or that event, the World Champion is put on a pedestal above all the rest! Again, if I were ‘chess dictator’ I’d change the system dramatically. First, I would have an annual World Championship title event. I would keep the two year cycle as is, with the following changes, I would make the “Candidates Tournament”, a double round robin of the eight players, a World Championship tournament. In this case, what I’d have in mind is that the World Championship plays in this event, alongside 7 other players. Three from the Knockout (World Cup); three from the rating list; one organizer nominee. (Eventually, I’d scrap the nominee and include the winner of the Grand Prix.) All players would be encouraged to play in the World Cup. Every other year there would be a 12 game World Championship match. It would feature the world’s number one rated player and the world’s number two rated player. Full stop. Before we stop and complain, let us think about the above for a moment and elaborate things in greater detail. First let us suppose the winner of the World Championship ‘tournament’ is neither the number one or number two player in the world by the rating list, that means the (tournament) World Champion would NOT play in the following World Championship Match next year. The privileges of the World Champion don’t exist. To win, defend, or keep the title the World Champion has to compete and perform! If the World Champion ‘falls out of form’ and is surpassed by others, this is sport! With an annual championship event, the player will have opportunity to ‘get back into shape’ and compete soon again. So, every second year, there would be a 12-game match for the world championship, for say one million Euros, minimum, featuring number one and number two. A fine pay day. The entire public would understand: number one versus number two. Simple. In sport, if a player is unable to compete, due to physical injury, the player is scrapped and replaced. Simple. If number one or number two doesn’t want to compete, number three is invited and so on. There must be a competition! Some will complain that the above match is “too elite” or perhaps doesn’t feature the existing World Champion. They are wrong. Becoming one of the highest rated players in the world is the most democratic thing in chess! Everyone, everyday, has opportunities to raise their rating. Just go out and compete! Win a high number of games – and you too may one day become the highest rated player in the world! No one is stopping you. Everyone has a chance to gain a high rating! Next, I’d put in the rules, that a ‘high rated player’ could not ‘sit’ on their rating. An ‘activity requirement’ of at least thirty games, played three months prior to the match is needed to be eligible to ‘accept’ an invitation to the match. Too, I’d require that any player, in either the Match or the Tournament for the World Title, is required to compete in their National Championship – only if the National Championship is a round robin – as well as for their nations Olympiad Team. This is a quid pro quo agreement. A player that is able to play in the Tournament and Match will be very well paid. It is not too much of an ‘ask’ that such players support their National Championships and National Team. This is a ‘give back’ to their own countrymen and colleagues! So the way the World Championships would work is that one year, a double round robin of various top ranked players and qualifiers would play for the World Championship. This would mean that every person would have two clear pathways of qualifying: Become one of the top three rated players in the world or win the Continentals and place in the top three of the World Cup and you are in. The system is fair to everyone. In time, the process for the Tournament World Championship should be clarified and made more uniform, but if we go in this direction, chess will grow and more sponsors will be ‘discovered’ along the way. I’m disgusted with the time controls! My chief complaint is that they are not standardized. To my mind, there are three ‘types’ of chess tournaments: Classical, Rapid and Blitz. Honestly, I don’t care what the time controls for these three disciplines are, only that they should be the same for all tournaments! Today, a “Classical” tournament will have all kinds of different time controls. It is terrible. For a professional, they are constantly recalibrating themselves for all these controls which can be different from event to event in the extreme. This too, has been a failure from the FIDE, official Federations and the Professional players. In fact, it is just stupid. If I were chess dictator I would say, “For the next two years we will play our three disciplines with these and only these ‘standard’ time controls. Full stop. At the end of two years, we will review the results. If we discover that some ‘tweaking’ is necessary, we will change the standard and practice them for two years…” And so forth and so on, eventually ‘settling’ on the three standards that we all like best, which works for all parties, including organizers. I would start with a Classical time control of 90 minutes for 40 moves with a thirty second bonus for all moves made at move one. For the second time control 30 minutes for 20 moves (with the thirty second bonus) for the third time control 15 minutes (with the thirty second bonus) for the rest of the game. My reasoning for this time control is that a Classical game, will obviously be the longest of the three disciplines. A player has physical needs, such as nutrition, drinks, visiting the restroom and so on. The three distinct time controls, allow the player to ‘comfortably’ meet their physical needs. It is simply intolerable to be sitting at the board, with a strong physical need to go to the restroom and being unable to do so because you are playing on ‘increment time’ only. For Rapid Chess, I’d start with 20 minutes for all the moves of the whole game with a 10 second bonus for each move made. For Blitz Chess, I’d start with three minutes for all the moves of the whole game with a 2 second bonus for each move made. Again, at the end of a two year period, the results should be reviewed and tweaked if necessary. If not tweaking is deemed necessary, the standards are kept for the next two years. The whole point is that such a banal thing as time controls should be standardized around the world. What would be your advice to young people who are just starting to play chess and take it seriously? Have fun. Enjoy what you are doing. Take your work seriously. If you get too stressed, take a break. If you apply yourself, you will get mentally tougher, much more disciplined, feel a greater sense of personal empowerment and learn to succeed in anything you want to do. Believe in yourself. You have played so many interesting and legendary opponents that others only dream to meet. Which player impressed you the most both chesswise and in personality matters? My goodness! So many to mention. Bent Larsen was my personal hero and I’m much indebted to Victor Kortchnoi just to mention two. There at the board manners of Alexander Beliavsky, Jan Timman and Judith Polgar are simply exemplary. In terms of writers, Mikhail Tal, John Nunn and Jeremy Silman are all superb. There are so many others as well. Chess is full of fascinating personalities and interesting people! Do you coach people? If so, who are your pupils if it is not a secret? In general no. I’ve trained with Victor Kortchnoi and Jan Timman. I’ve done some work with Daniel Stellwagen and recently Ivo Timmermans. Much of this work is on a friendly, although serious basis. Perhaps in the future, I’ll ‘become’ a chess coach, but for now, it hasn’t happened. What are your plans for the future, besides passing the 2700 hurdle? I’d like to help the USA team at next year’s Olympiad. Sad to say Bobby gave up the game when I started to play, so my ‘comparison’ of Fischer versus say Karpov or Kasparov wouldn’t be helpful. I can say that Bobby had an extraordinary capacity for hard work and probably spent more time ‘honing’ his game than anyone previously had. He was truly professional in his choice of openings and so on. People like to say “Bobby was the best chess player ever!” Such words make them feel good or even knowledgeable. I might ask them really? In which time frame was Bobby the best player ever? Think about it for a moment. Before Bobby entered the cycle that culminated in his historic 1972 World Championship match victory, by his own agreement, in 1970, he allowed Bent Larsen to play board one ahead of him in the match versus the Soviets. To repeat, in 1970, the great Bobby Fischer, himself, thought it correct that Larsen play ahead of him. Before Bobby defeated Boris Spassky in their match, Bobby had never beaten Boris and in fact, had a bad score against his rival. If we are generous, we could say that Bobby was the best player in 1971 and 1972 and then he quit. Hmm. That doesn’t sound like solid grounds to me to make the claim that he was the best ever. Were Bobby impressed, truly amazing, was his incredible Candidate Match results as well as the final margin of victory in the 1972 match. Bobby was always good against ‘the lower half of the field’ in round robin events. He wasn’t always ‘dominating’ against the top half of the field at all. Anatoly Karpov was a remarkable world champion. It always seemed to me that victory came ‘to easy’ for Anatoly. From 1975 – 1985, essentially Karpov won everything. For Anatoly ‘gold’ was important and he accepted it with minimal effort. He wasn’t trying for “Fischeresque” results, he was happy to simply win first prize. And win he did! People really don’t understand how good Anatoly truly was. Just consider that while I believe that Garry Kasparov was the greatest player ever, in 1984 Anatoly was giving him a drubbing of 5-0 before the match was aborted. Imagine, leading the greatest player ever 5-0 after thirty games. Furthermore, imagine it was only a chess genius like Garry Kasparov that prevented Karpov from dominating for another decade!